Boy, she must be super short! But fits very nicely against his chest, that’s what I’ll be going for come the day 😍😍😍😍sorry wrong thread! I remember now I did meet this girl while we were lining up for the show in Turin back in 2017. I know she told me she wanted to try and meet Billie - I guess she succeeded! Couldn't decide if that pic was brand new or 20 years old when I saw it at first! 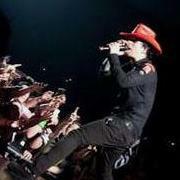 Billie looks adorbs in that pic, like a little boy.